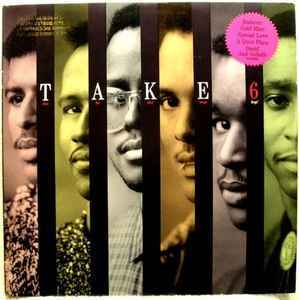 The album Take 6 is often mistakenly thought to be named do be doo wop bop, because that phrase appears on the album cover under the letters of the group's name. The album's legal title is Take 6, and the cover's designer, Kav DeLuxe, has stated the phrase "do be doo wop bop" was included simply as a "design element." The only instruments used on this LP are Human Voices. What an Unbelievable display of talent from a group that went on to eventually rack up an astonishing 10 Grammys.